"Software brings the machine to life" - Justify this satement. The ingredient that enables any computer to perform any task is software, which contains instructions. Set of instructions that drive a computer to perform specific tasks is called a program. These instructions tell the machine's physical components what to do; without the instructions the computer can not do anything. Though the array of available programs is vast and varied, most software fall into two major categories; system software and application software. System software is a program that controls the computer hardware or that can be used to maintain the computer in someway. An operating system tell the machine how to use its own components. An operating system is essential for any computer, because it acts as in interpreter among the hardware, application program and the user. When a program wants the hardware to do something, it communicates through the operating system. When user wants the hardware to do something, the request of the user is handled by the operating system. 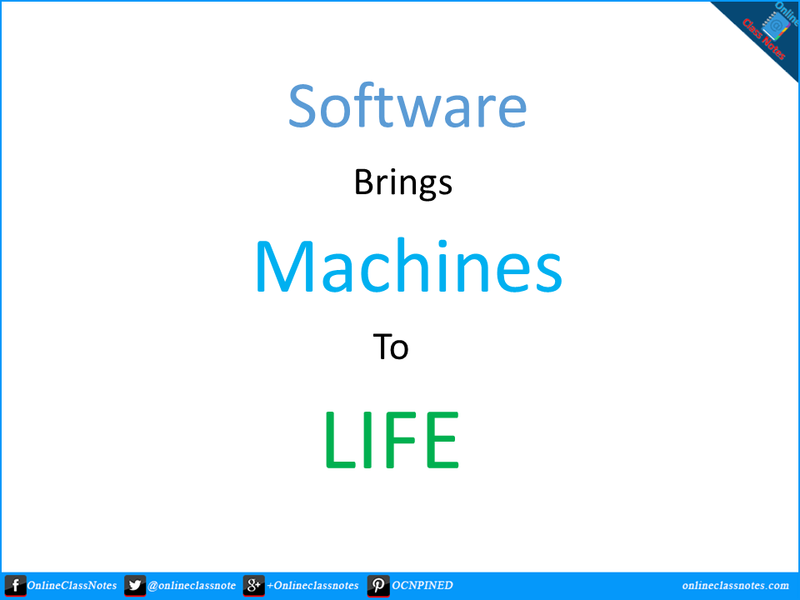 That's why and how the software gives the life to the machines. Otherwise it turned to be a dead machine.